The future of the Mexican Grand Prix appears not as bad as first thought, more discussions over slots on the 2020 F1 calendar begin and a Miami Grand Prix could be one step closer to reality. Here’s a round-up of all the F1 calendar news from March! 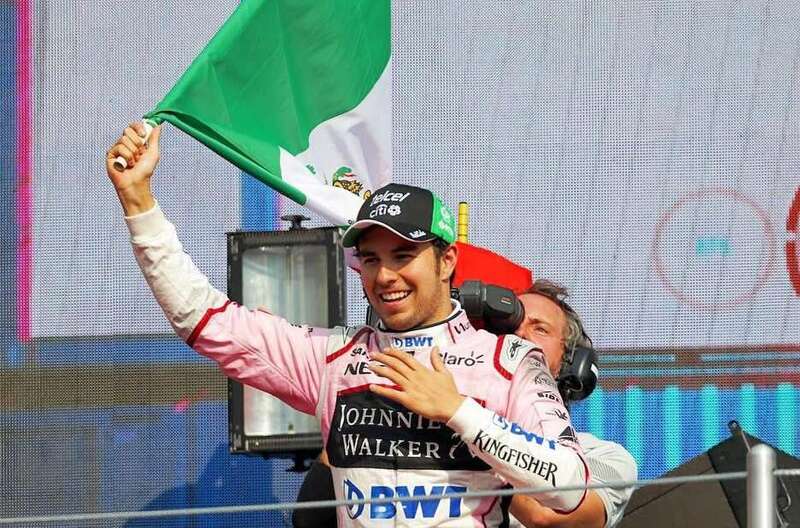 Hope for Mexico’s Grand Prix future? The saga of Mexico’s future on the F1 calendar continued last month. In February, it was revealed that a lack of government funding had put the future of the event beyond this season in doubt. At the beginning of March, organisers missed the deadline to ensure the race would keep its place on the 2020 calendar. Tickets are now on sale for the 2019 Mexican Grand Prix on October 24-27. Read our updated buying guide here. 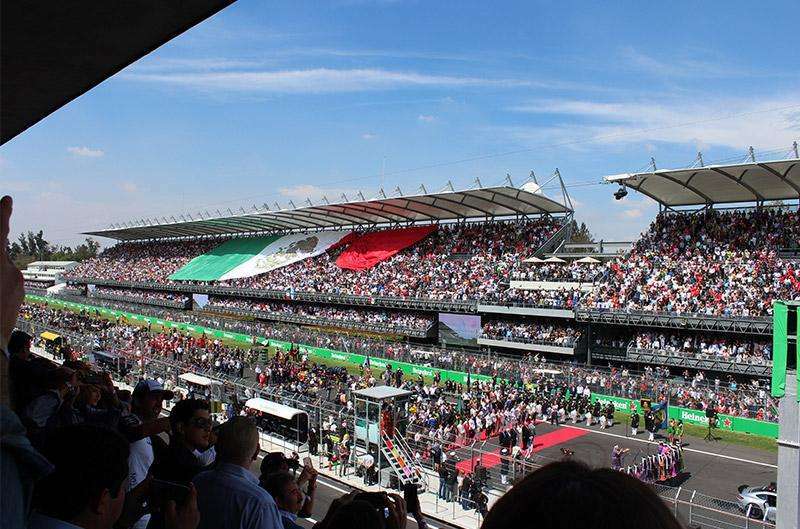 The Mexican Grand Prix is one of five races on the 2019 calendar without a deal for 2020. While news about the futures of the German and Italian Grands Prix has been quiet in recent months, there has been comment and movement on the deals for the Spanish and British races. Chase Carey met with the organisers of the Spanish Grand Prix at the Circuit de Barcelona-Catalunya in March, as the Catalan President and the Circuit President held talks to “show the will of Catalonia to continue hosting” the event after this season. The circuit has been on the calendar since 1991 and drew its highest attendance figures at the height of home favourite Fernando Alonso’s success. In each of the last three seasons, the event has attracted an audience of around 170,000 fans over the weekend, though the implication of Alonso’s retirement from the sport on 2019’s tickets sales remains to be seen. Meanwhile, the future of the British Grand Prix remains unknown. Speaking to Motorsport earlier in the month, Ross Brawn admitted that while there was “no certainty” of the event remaining at Silverstone in the future, he doesn’t expect 2019 to mark the final British Grand Prix. Brawn also suggested that talks were ongoing to bring a Formula 1 race to London. He said that the inclusion of any future Grand Prix in London would be given the title of the “London Grand Prix”, with the “British Grand Prix” remaining a separate event. One step closer for a Miami Grand Prix? Formula 1 could be one step closer to hosting a Grand Prix in Miami if the result of a crucial vote held at the end of March goes in their favour. The vote, which took place on March 28, is the first formal consideration of the event since plans were deferred in September last year. The vote is critical as it involves Bayfront Park Management Trust, who own land on which the proposed circuit would be hosted. Full details can be found on Autosport. The result is expected in the coming weeks. While last month it was reported that the Dutch Grand Prix would not be funded by the government, Zandvoort, recognised by many as the only viable option to host the event, has been given the green light from the local government to press ahead with plans to revive the Grand Prix. Zandvoort, which hosted the Dutch Grand Prix thirty times between 1952 and 1985, faces competition from TT Circuit Assen to become the host of a potential race in the Netherlands. With the government refusing to use public money to cover hosting costs, Zandvoort is now looking for a sponsor to cover the cost of the event. While the end of March had been set as a “hard deadline” by Formula One Management for the circuit to secure such funding, a spokesperson for FOM commented to Dutch media that there was “no hurry”, but added discussions were “going in the right direction”. Tickets for the 2019 Abu Dhabi Grand Prix went on sale in March. Find the best tickets, and take advantage of 30% off until the end of May, here. Tickets for the 2019 Russian Grand Prix are also on sale with early-bird discounts of 20% only applying until April 15. Read our updated buying guide here. The new circuit in Hanoi, Vietnam, which will host a round of the F1 championship from 2020, has broken ground. The Renault F1 team will embark on a 15-stop promotional roadtrip ahead of the French Grand Prix, putting the 2012 E20 and the R.S.01 on show on the streets in fifteen cities across six regions of France. The showruns will begin at Disneyland Paris over the first weekend of April. Do you think all five of the circuits which don’t have contracts for the 2020 season will stay on the calendar next year? Let us know your thoughts in the comments below! Couldn’t imagine liberty not working some deal for Silverstone to remain, most well attended, drivers favourite, proper racing history and pedigree, simple logistics for almost all teams. Simply can’t see a London race happening, Singapore is a slick organised street race but I can’t see that being replicated.